Ruggedized indoor-outdoor cellular Hub is ideal for commercial locations where wired broadband Internet access is unavailable. Conveniently locate anyplace where you have good cell coverage. Powered by low-voltage DC power, giving you the freedom to place the power supply at any distance from the Hub's position. 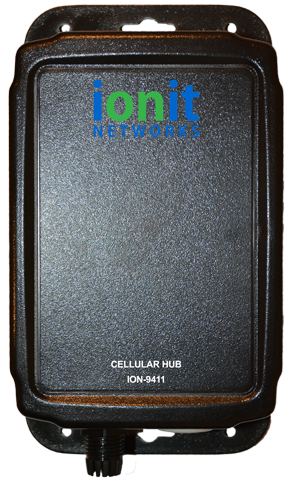 Transmits sensor data over cellular networks to the IONIT Cloud. Models available for GSM and CDMA networks.